If you’re reading this, you are likely either a parent or a children’s ministry leader. You likely use social media, and it is probably how you found this blog post! But, you may not see social media as a tool in your efforts to disciple the children you love and with whom you share the gospel. Use Facebook groups to connect with other parents and learn from each other. I am not yet a parent myself, but a lot of my friends are young parents, and I have heard about all kinds of “parenting” groups on Facebook. Sometimes Facebook groups like this can foster conflict or judgmental conversation if they aren’t monitored well, but they can also be a blessing in the lives of the parents who are a part of them. In these groups, parents could share ideas about how to improve bedtime routines, thoughts about how to have more intentional conversations with children, or other aspects of parenting that can be difficult to do alone. Obviously, parents would be wise to first look for this community in their local churches, but hopping into a Facebook group with like-minded parents could be helpful, too. Find creative discussion questions or other resources to talk with your kids. 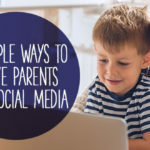 Parents are sharing parenting-related resources on social media all the time. Like I said, I’m not a parent yet, but I’m already bookmarking all kinds of resources I’ve seen my friends share that they use with their kids—resources to help them be interested in the Bible, to memorize Scripture, and more. 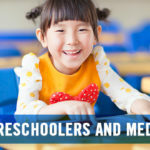 I would suggest the 22:6 Parenting ministry of Dr. Josh and Christi Straub for some of these resources because I am aware of the great work their doing. But, beyond that, using social media to find resources to help disciple children is a great idea. Start a parents’ prayer group on Facebook to come alongside other parents in your church or community. Without a doubt, one of the most impactful actions parents can take in their efforts to disciple their children is praying for them. Going before the throne of God on behalf of our children and praying for them to come to know and love the Lord is vital to discipling kids well. If you’re a children’s ministry leader in your church, consider setting up a Facebook group for the parents in your church to connect with one another and pray for each other. This would be a great service to the parents in your local church. 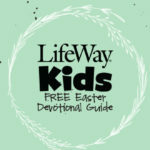 If you’re unsure of how social media and children’s ministry can work together for the good of kids, check out LifeWay Social. LifeWay Social is a new service from LifeWay that exists to help Christians better use social media for Kingdom good. Chris Martin is Co-Creator of LifeWay Social and an Author Development Specialist at LifeWay. He loves helping Christian leaders use social media to serve the Church. You can follow him on Twitter @ChrisMartin17.